As climate change looms large for the oil industry, what could that mean for Alaska? This spring, ExxonMobil held a meeting with investors. It didn’t generate many headlines. And that’s a little surprising, considering what the company was there to talk about. “This was the first time that Exxon had ever held a session devoted entirely to carbon, as they called it, but to the larger issue of climate change,” said Amy Harder, a veteran energy reporter who used to work for the Wall Street Journal and is now with Axios in Washington, D.C. In Alaska, oil companies are already seeing the consequences of climate change. Shorter winter seasons are impacting the use of ice roads for oil exploration and construction. 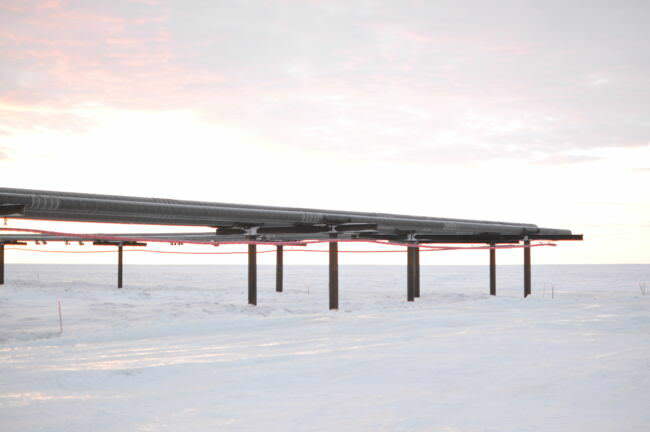 It’s also forcing the use of more refrigeration technology to keep thawing permafrost stable beneath infrastructure. But the oil industry is also grappling with the issue on a much higher level — in a way that could eventually affect whether or not they pursue projects in the Arctic. For Harder, Exxon’s meeting is a key example of how seriously oil companies are strategizing around climate change. “You had Darren Woods, the CEO of the company, there, talking directly with analysts about this very issue,” Harder said. Woods discussed what oil companies are calling “the dual challenge” — that is, the rising need for energy in developing nations pitted against the need to reduce planet-warming carbon emissions. The purpose of the meeting was to explain to Exxon’s investors how the company fits in a world where climate change not only exists, but where people are trying to do something about it. At one point, Woods explained why Exxon could support a carbon tax. “There is a cost of carbon in society today. It’s an implicit cost. It’s hidden. And so our view with a carbon tax is making it explicit is a much more effective way,” Woods said. Climate activists didn’t exactly hail Exxon’s meeting as a victory. The company’s take-home message was its oil and gas business is going to be just fine, even in a world that’s trying to confront climate change. Exxon also projected the world will probably blow past the crucial 2 degree Celsius threshold — that’s the amount of warming scientists say will lead to severe impacts across the globe. And that spurred a lot of criticism. All that aside, though, Harder’s point is this: that Exxon’s meeting even happened is a big deal. That its investors were there, asking tough questions about climate policy and how it could affect Exxon’s business model — and that the CEO was there, taking those questions on — that’s telling. Exxon’s climate meeting fits into a larger debate happening in the oil industry right now. For decades, the world’s hunger for oil has generally, steadily ticked upwards. And in response, companies have done what they do best: find and produce more oil to satisfy that growing demand. But now, thanks to climate change, there’s talk that trend might shift. “There’s been a real sea change in the last 18 months or so in how the oil industry approaches climate change as a financial issue,” said Andrew Logan of Ceres, a Boston-based nonprofit that works with investors and companies to make the business case for environmentally friendly practices. There are a number of factors leading to this discussion. For example, the Trump administration may be pulling back from climate policy, but most of the rest of the world isn’t. Renewables like solar and wind still make up a small fraction of the world’s energy supply, but the sector is growing rapidly. And the world is getting much more efficient in how it uses fossil fuels. So some big oil companies are talking about a day when the world’s demand for oil stops growing. Companies like BP, which operates Alaska’s biggest oil field, and Shell. This year, another company, Norway’s Statoil, proclaimed to the world it was taking “oil” out of its name. The company is now called Equinor, and it’s reshaping itself as an energy company, not just an oil company. By 2030, Equinor expects up to 20 percent of its business will be in renewable energy and technology to capture carbon emissions. It’s important to note that all oil companies, including Equinor, agree demand for their product isn’t going to dry up any time soon. The world goes through a mind-boggling amount of oil every day. For example, ConocoPhillips recently announced a huge oil discovery in the Arctic, called the Willow discovery. Conoco is planning to spend years, and billions of dollars, to develop it. On the high end, Conoco estimates the discovery holds up to 750 million barrels of oil. That’s big for Conoco. Huge for Alaska. But the world goes through about that much oil in just over a week. For the world to stop using so much oil would require a massive, fundamental shift for the global economy — that’s one big reason why solving climate change is such a difficult problem. And as giant economies like China and India grow even more, staggering amounts of energy will be needed to power them. So oil economists looking to the future are trying to balance the world’s insatiable need for energy against its pressing need to deal with climate change. ConocoPhillips’ Chief Economist Helen Currie is one of those people. In an interview, Currie said Conoco’s position is that the world’s need to drive down emissions doesn’t mean oil demand will decline. “We see oil demand continuing to grow for decades into the future — and in our view, it can continue to grow inclusive of climate change policies,” Currie said. While Conoco thinks the rate of growth of oil demand might slow, the company still believes oil demand is going to keep rising for quite some time. But it’s impossible to know exactly how this will play out — the energy industry is notoriously complex and unpredictable. So today, when it comes to future oil demand, companies are starting to say different things. There’s Conoco’s position, and then there are players like Equinor, the Norwegian company, which is now projecting oil demand could start to decline by 2030. Logan of Ceres said there’s no doubt the world is going to need a lot more energy. So what could that mean for Alaska? Right now, many companies still see Alaska’s oil as eminently burnable. But at least one oil company operating in Alaska is publicly weighing potential climate change policies against its future investments on the North Slope. Oil Search, a Papua New Guinea company that has taken over the large Nanushuk oil play, held a briefing this April with investors on “climate risk.” In the company’s presentation, it lays out projections on whether its developments would go forward under several future climate policy scenarios. So it’s worth asking the question: if the global push to reduce emissions intensifies, what could happen to other future oil developments in the Arctic, perhaps offshore, where drilling is expensive and controversial? Is it possible the industry will decide some of Alaska’s oil isn’t worth drilling? If the world starts to take more meaningful steps to curb climate change, Harder, the energy reporter with Axios, thinks that at some point, some oil, somewhere is going to get left behind. For oil companies, climate change is an issue they can’t escape. They’re agreeing with climate activists that climate change is real. They even say they could support policies to do something about it. But if companies do eventually go one gigantic step further and keep some of their oil in the ground, it probably won’t be because they’ve decided to save the planet — it will be because they’re trying to save themselves. 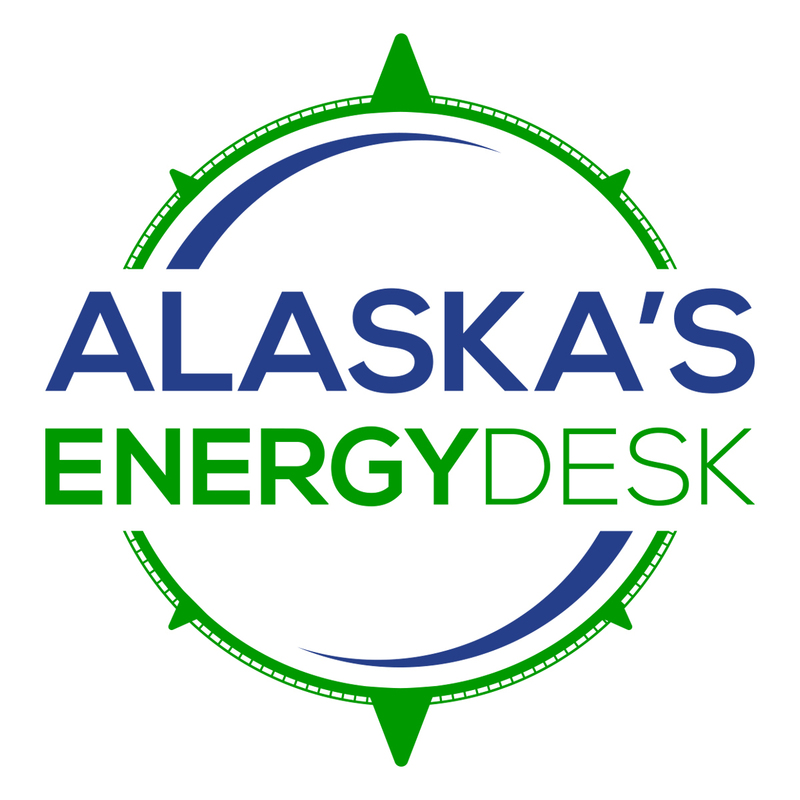 This story is part of the podcast, Midnight Oil: The Big Thaw, from Alaska’s Energy Desk. To hear more, visit the website or subscribe wherever you get your podcasts.